Brands that cooperate effectively with their partners enjoy greater success. We believe that cooperation is a critical component of any profitable organization—cooperation between executives, sales representatives, retailers, and everyone else in-between. After navigating the agency landscape for decades, we realized that the basic tenets of cooperating had become convoluted and lost. That’s why we took a step back, reset the whole approach, and created an independent agency based on four core fundamental beliefs: collaboration, teamwork, partnerships, and results. Each one of these is a critical building block to guaranteeing success for all involved. We’re different from most. We listen to your problems. Tirelessly collaborate with your team and all key stakeholders toward effective solutions. We then execute flawlessly across any number of channels. We value you as an individual, your business, your mission, and most importantly your relationship. Our goal with all clients is to establish a mutually beneficial partnership that lasts a lifetime. We solve complex problems for OEM’s and major service providers through our insightful, collaborative and cost-effective approach. To accomplish this, we seek out opportunities throughout your entire network and develop custom marketing solutions that combine tech-forward thinking with high-touch service. These solutions are backed by a proven track record of cost-efficiently improving short and long-term results. With your marketing team and agency partners, we will create, develop and execute results-oriented programs that build sales, brands and stronger relationships. 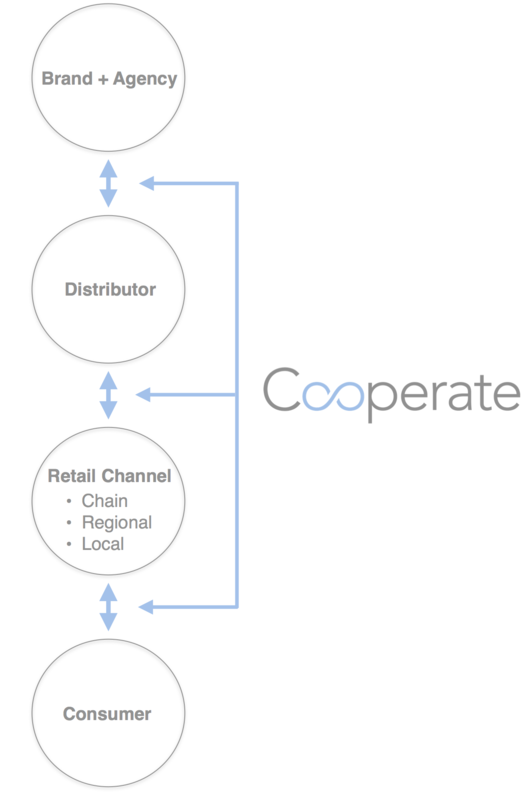 It all started with modernizing co-op marketing and has evolved into so much more. From retail marketing to retail training. Sales promotions to sales incentives. Creative strategy to creative content. Local media to national media. And just about everything in between. In need of a service that is outside of our area of expertise? We have alliances with several trusted agency partners and will enlist any number to ensure all your needs are met. We hire and retain some of the best and brightest in the industry, and tackle every opportunity from a team perspective. The result is high-impact cooperative marketing that ultimately builds the bottom line and brand. Whether you’re a prospective client, employee, or agency partner, we’d love to hear from you. Let’s discuss how Cooperate can become part of your success story, and build something great together.